A new teaser of The Kapil Sharma Show has been released by Sony TV ahead of the comedy show’s grand premiere on December 29 at 9:30 PM. In the new teaser Simmba team Rohit Shetty, Ranveer Singh and Sara Khan are seen having a ball of a time with Kiku Sharda giving them a ‘hunkaar wala’ welcome. 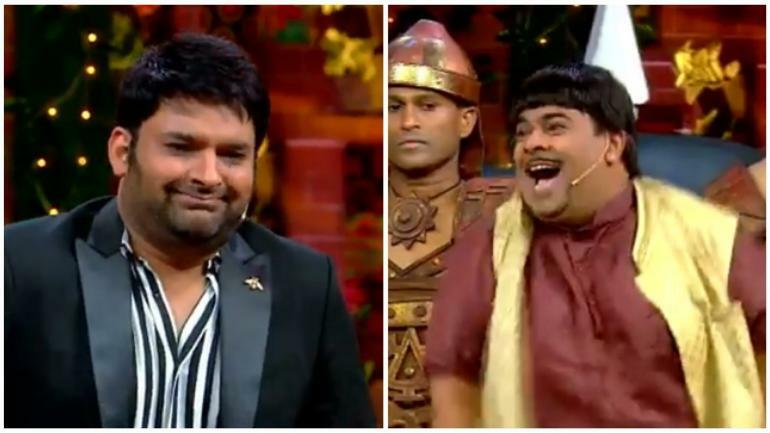 In the new teaser of the comedy show, Kiku is seen making fun of Kapil’s brand of humour and say that “inhi saari baaton ki wajah se Deepika haath se nikal gayi,” and asks Kapil to move on. Rohit Shetty, Sara Ali Khan and Ranveer Singh can be seen having fun at Kapil’s expense. 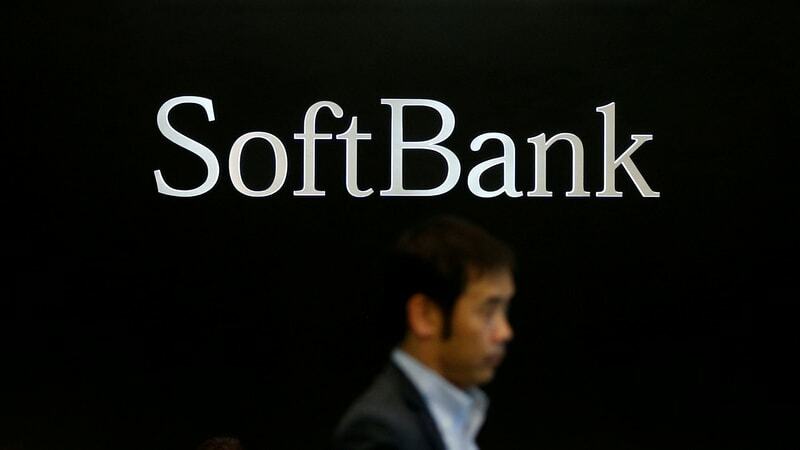 SoftBank Corp shares slumped more than 10 percent on debut, as investor appetite for Japan’s biggest ever IPO was hurt by a recent service outage at the telecoms operator and worries over its exposure to Chinese telecoms gear maker Huawei. The poor start for the unit of investment giant SoftBank Group Corp was uncommon in the Japanese IPO market. Of 82 IPOs so far this year, SoftBank was only the seventh to open below the IPO price. Among recent major IPOs, Japan Display was the only one to flop, suffering a fall in its 2014 debut. “Retail investors are dumping shares after seeing the opening below IPO price, also affected by a service outage,” a market analyst at a brokerage said, declining to be named because he was not authorised to talk to the media. “But I don’t expect the shares will fall much further given their dividend yield and expectations for being included in stock indexes,” he said. Following its $23.5 billion initial public offering, shares of SoftBank Corp fell as far as JPY 1,344 five minutes into trade, or 10.4 percent lower than its IPO price of JPY1,500. The broader Tokyo market was up 0.1 percent. SoftBank Corp shares were most heavily traded on the Tokyo Stock Exchange’s first section, accounting for about a third of the total turnover volume. At 10:48 a.m. (0148 GMT), the shares were at JPY 1,384, after opening at JPY 1,463. SoftBank Group was up 0.5 percent. The IPO was just shy of the world record $25 billion 2014 listing of Chinese e-commerce giant Alibaba Group Holding Ltd, a SoftBank Group portfolio company. Adding to investor worries, SoftBank Corp’s relationship with Huawei Technologies Co came under scrutiny as governments around the world moved to shut out the Chinese firm amid worries its gear could facilitate Chinese spying. SoftBank Corp, which has the most exposure to Huawei among Japanese telecoms firms, plans to replace Huawei-provided 4G network equipment with other suppliers’ hardware, two sources said, in a process likely to be time-consuming and expensive. In SoftBank Corp’s case, an added attraction was its promise of a dividend payout of 85 percent, much higher than those of rivals NTT DoCoMo and KDDI Corp. The IPO attracted about twice as many retail orders as the number of shares offered, sources at lead underwriters said last week. A smaller portion of shares offered to overseas intuitional investors was three times oversubscribed. After a high-voltage campaign that saw a fierce war of words among the Bharatiya Janata Party (BJP), Congress and other regional parties, voting in two of the most crucial states, Telangana and Rajasthan, has started Friday. What is likely to throw some light on how the 2019 Lok Sabha elections would turn out, these state elections will set the stage for the mega battle next year. As soon as polling ends on Friday, media outlets, including India Today TV, will announce their respective exit poll results. In Telangana, more than 1.50 lakh polling officials, including reserve staff were seen giving final touches on Thursday to make the election to the 119-member House a smooth affair. Over 2.80 crore electorate are eligible to exercise their franchise in the state, which has a total of 32,815 polling stations for the 119 stations. High pitched campaigns by political heavyweights across party lines ended at 5 pm on Wednesday. 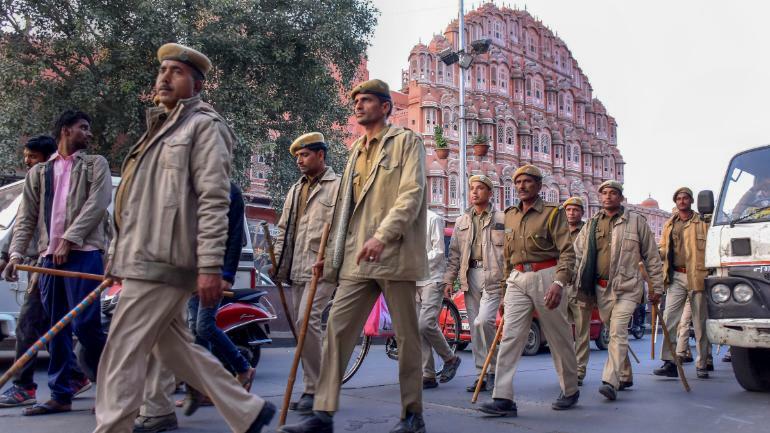 Additional DG (law and order) Jitender told PTI on Thursday that about one lakh police personnel, including 25,000 central paramilitary forces and 20,000 from other states are engaged in poll duties. A senior police official said security has been beefed up at bordering areas for the polling on Friday, which were identified as Left Wing Extremist-affected regions. On Wednesday, Congress chief Rahul Gandhi, UPA chairperson Sonia Gandhi, Telangana CM K Chandrasekhar Rao and several others criss-crossed the entire state to give that final push to the campaign before the state votes on Friday. While KCR was without doubt the star campaigner for TRS, the Congress and the BJP fielded their bigwigs for campaigning which turned out to be a shrill one. The BJP relied on Prime Minister Narendra Modi and the party president Amit Shah. It is to be seen if KCR’s gamble to opt for early elections pays off while the BJP and Congress have alleged that KCR feared loss if the elections were held simultaneously with the 2019 general elections. The Congress has stitched the ‘Prajakutami’ (People’s Front) along with the Telugu Desam Party (TDP), the Telangana Jana Samiti (TJS) and the CPI to take on the ruling TRS, led by KCR. The BJP, which won five seats in alliance with the TDP in the last elections in 2014, said it ensured that there is a triangular fight in Telangana this time. Polling will start at 7 am and end at 5 pm, while in 13 constituencies which were classified as Left Wing Extremist-affected, polling ends one hour before (4 pm). For the first time, Election Commission is using Voters Verifiable Paper Audit Trail (VVPAT) in Telangana. As many as 1,821 candidates, including a transgender, are in the fray in the election.